Robert D. Mercurio has broad experience in the resolution of complex commercial and private litigation matters, including matters concerning a variety of contract issues, deceptive trade practices, employment claims, trust and estate administration, life and disability insurance coverage disputes, construction claims, and product liability actions. He has tried cases in state and federal courts, has substantial appellate experience, and also regularly works with clients to develop strategies to avoid or limit the scope of litigation. Mr. Mercurio has significant experience in the coordination of complex litigation, including multi-district litigation, having represented clients as diverse as a major retailer of health food and vitamin products faced with over 500 nationwide product liability actions to a large and respected real estate developer facing scores of actions, including two class actions and a government investigation, alleging the breach of contracts governing certain amenities at its developments. Mr. Mercurio has counseled and defended numerous public and privately held companies on employment issues, including matters concerning discrimination, accessibility and wage and hour issues. He has also developed significant experience in the representation of financial service industry executives in employment matters, including the negotiation of employment and separation agreements. 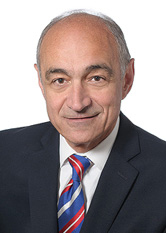 Mr. Mercurio has considerable experience in New York Surrogate's Court, representing family members in disputes arising out of the administration of trusts and estates and helping families achieve the amicable resolution of these often painful disputes. Selected for inclusion in the in 2006 and 2013 to 2018 editions of New York Metro SuperLawyers for Business Litigation, Employment & Labor and Civil Litigation: Defense. Awarded the Thurgood Marshall Award by the Association of the Bar of the City of New York for his work as pro bono counsel on behalf of an inmate on death-row.